Home > Expenses > Expenses - FAQs > Can I Attach Receipt Images to My Expenses? Yes, you can attach receipt images by browsing for the file while creating or editing the expense. The receipt is safely stored and backed up. This is really handy for when tax time comes around. You can also do this via the mobile app. You can also email in an expense receipt as an attachment and forward it via email to mydomain@expenses.avaza.com where “mydomain” is replaced with your account name. The receipt will be automatically attached to the expense entry. 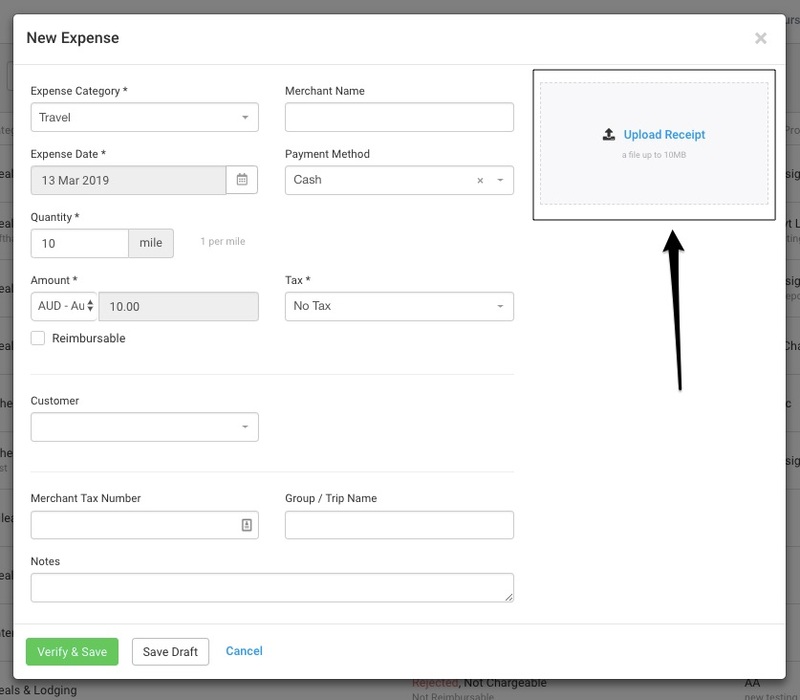 To easily view the list of expenses with the attachments, you can use the Expense Receipt Report available under the Expense section in Reports. Read Getting Started with Expenses for more information on Avaza Expenses.